FRSO greets Popular Front for the Liberation of Palestine on 50th anniversary | Fight Back! Fight Back News Service is circulating the following greeting from Freedom Road Socialist Organization to the Popular Front for the Liberation of Palestine (PFLP). 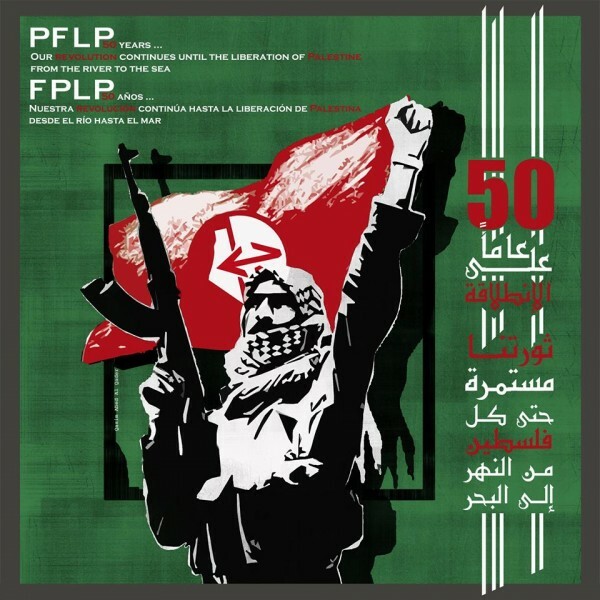 On the occasion of the 50th anniversary of the founding of the Popular Front for the Liberation of Palestine (PFLP), the leadership and members of Freedom Road Socialist Organization send our warmest fraternal greetings, and wish you every success in the struggle to liberate all of Palestine. The PFLP has a proud past and bright future. You past 50 years has been marked by accomplishments that can be rivaled by few. We are certain that the future will bring you greater victories and we will see the defeat of Zionism, Arab reaction, and imperialism. Your will to fight and win, along with your courage and clarity is an inspiration to people everywhere, including here in the U.S.
We place a high value in the militant friendship that has long existed between our two organizations, and we will continue our efforts to do everything in our power to build solidarity with the people of Palestine. We join with you in demanding the release of your imprisoned General Secretary Ahmad Sa'adat, and all other political prisoners held in Zionist jails, and demand that U.S. end its support to the occupation of Palestine. The Zionists are living on stolen land and barrowed time. The fate of Jerusalem, and the entirety of Palestine can never be settled in Washington DC, or by the criminal occupiers – it can only be determined by the Palestinian people themselves.